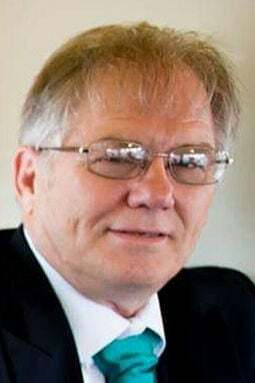 Robert P. Robotham, 71, of Milford, passed away suddenly Sunday, February 10, 2019, due to a motor vehicle accident near Milford. Born February 16, 1947, Lincoln. Vietnam veteran U.S. Army, 1967-1972, Eleventh Armored Calvary Regiment. Retired diesel mechanic. Member: St. Paul's United Methodist Church, Lincoln, American Legion #171, Milford Volunteer Fire and Rescue, volunteer and driver for the Milford Senior Center. Survivors: daughter, Shannon Brydl, special friend, Scott Tachovsky, both of Clatonia, son and daughter-in-law, Anthony and Rose Robotham, Seward, nine grandchildren, Shelby, Brandon, Evan, Gage, Garrett, Marshall, Chase, Maxwell, Maya, mother, Carol Robotham, Aurora, brother, Steven Robotham, Marquette, sister, Carolin Skordas, Ponte Vedra, Fla., niece, Carol (Robert) Skordas-Walport, New York City. Preceded in death by his father, Plin, brother, William. Funeral services: 10:30 a.m. Friday, February 15, at St. Paul's United Methodist Church, 11th & M Street, Lincoln. Luncheon at church followed by interment with Military Service at 3 p.m. at Richland Cemetery, Marquette. Visitation: 1-8 p.m. with family greeting relatives and friends 5-7 p.m. Thursday at Lauber Funeral Home, Milford. Memorials have been established and are directed in care of the family. Arrangements by Lauber Funeral and Cremation Services, Milford. Condolences may be sent to the family at laubermoore.com.